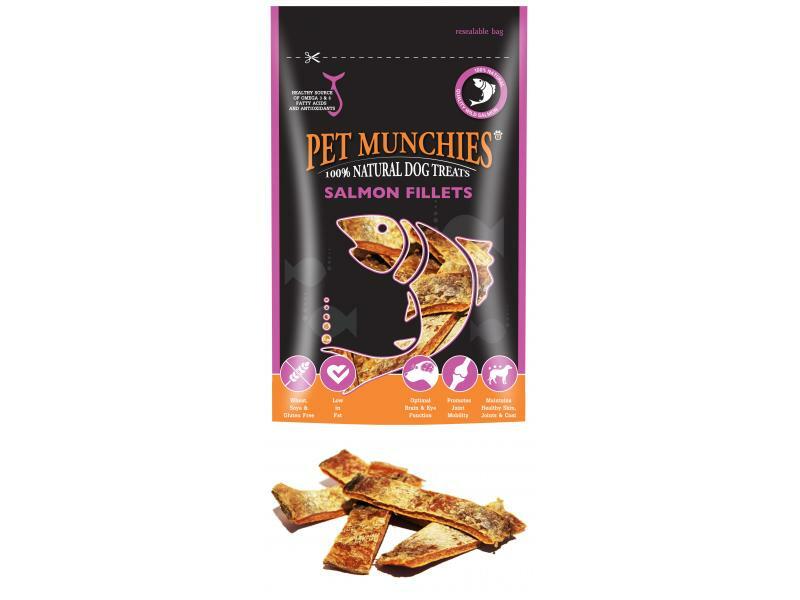 The Pet Munchies Wild Gourmet Salmon Treats are an exciting new range of 100% natural dog treats. Salmon has been used as it contains a wide range of vitamins, minerals and antioxidants to support general health. 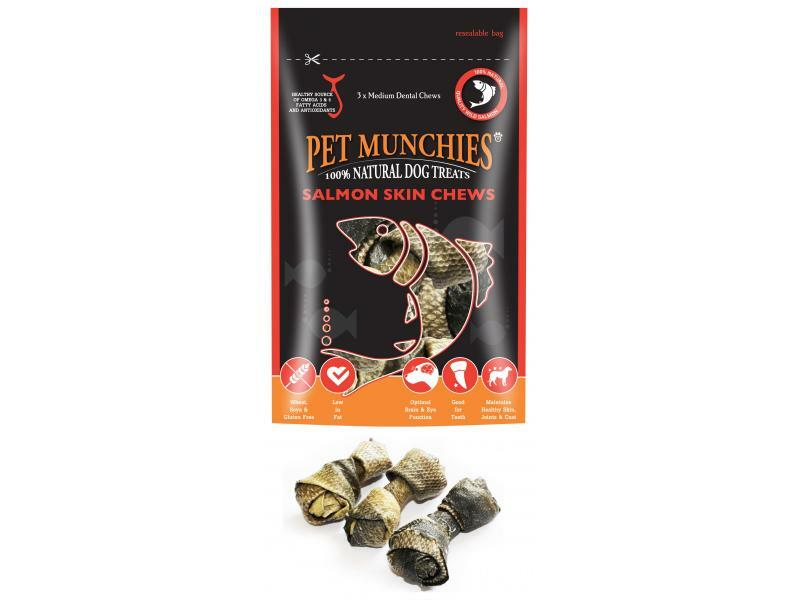 They contain Selenium which provides support for healthier joints, skin and a shinier coat. Omega 3 & 6 oils are also present which help with mobility, brain and eye function, oral hygiene and extra support for the skin and coat. 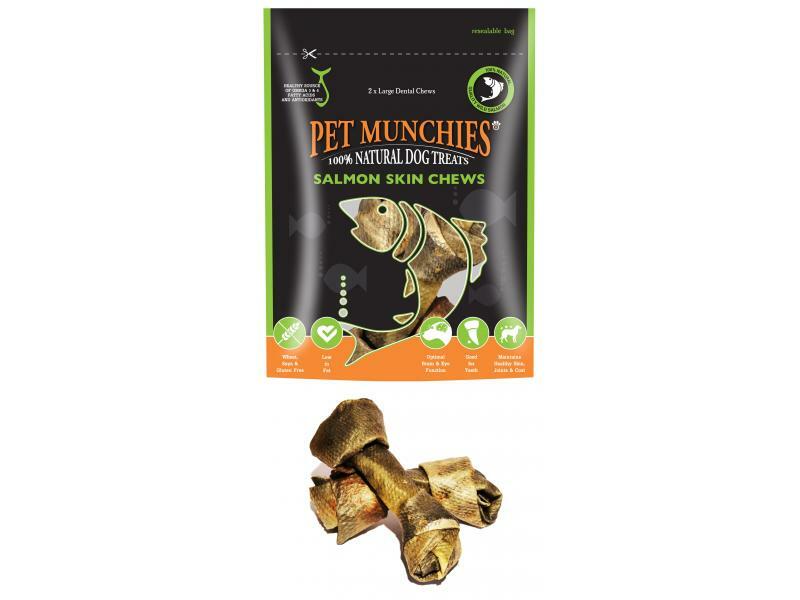 Low in saturated and high in monounsaturated fats, this great range of dog treats are ideal for those that suffer with wheat, soya and gluten intolerances. Also great for sensitive digestions. 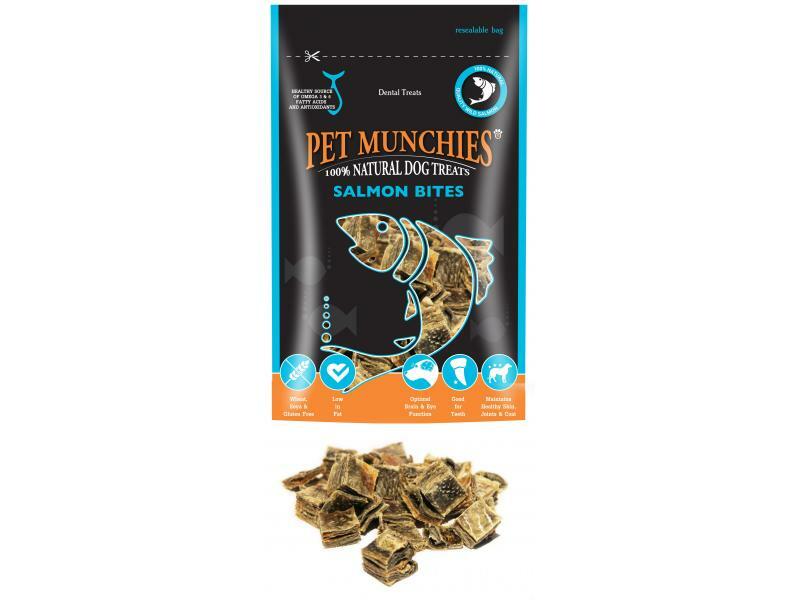 There are currently no questions for Pet Munchies Natural Wild Gourmet Salmon Treats for Dogs - be the first to ask one!